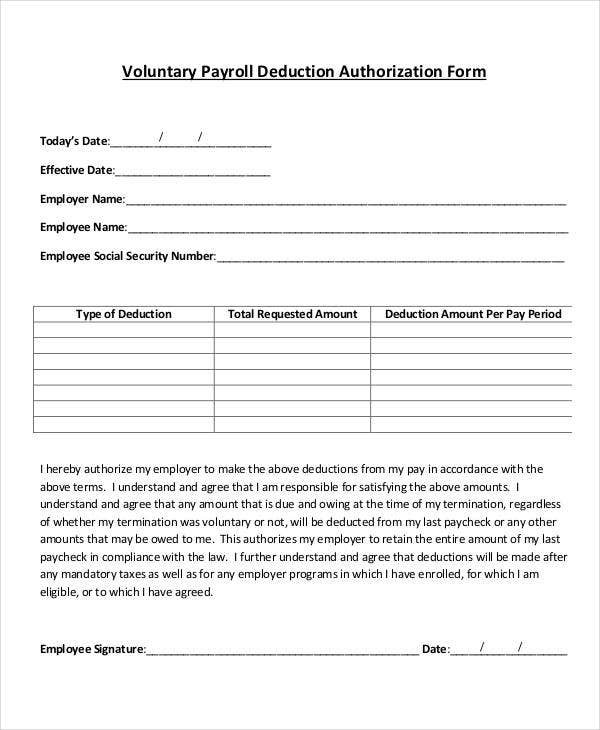 A payroll deduction form is used by a company as a record of the agreement between the employee and the management regarding the amount that will be deducted in the payroll of a particular employee due to various reasons. 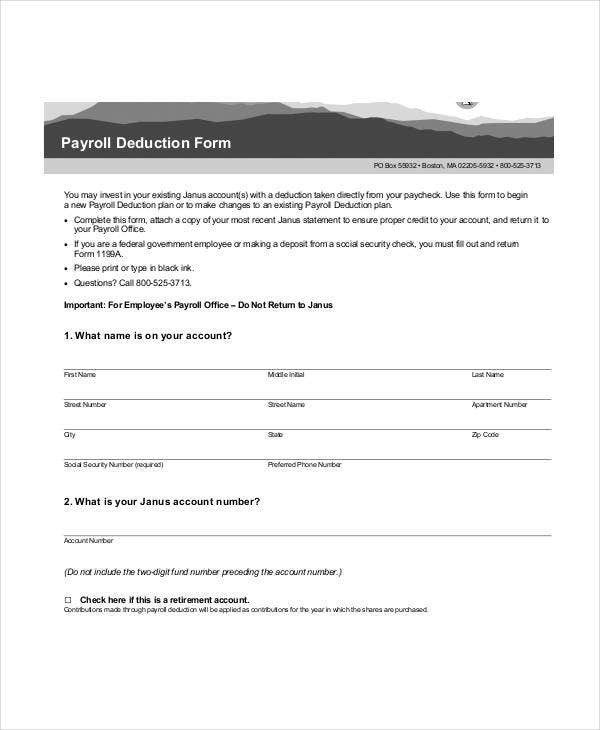 This is very important as the amount and terms of payment specified in the payroll deduction form must be reflected in the payslip to be received by the employee for a particular period of time. 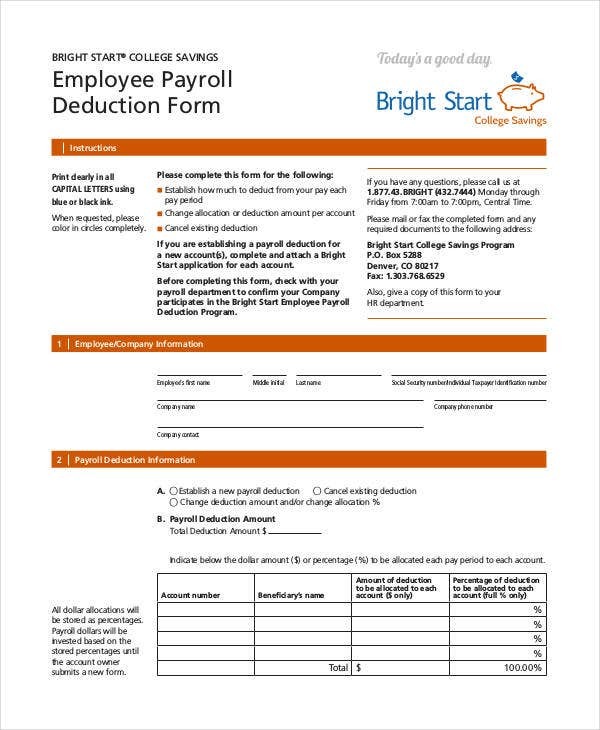 If you want to know more information about the inclusions of a payroll deduction form and the reasons why an employee receives this kind of document, you may browse through the article and the attachments that can be found in this page. 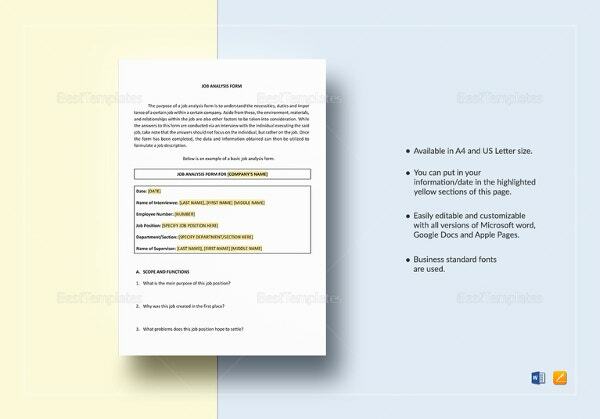 Aside from that, we also have other samples of HR Payroll Form templatesl which are usable as guides in creating form documents needed in various human resource payroll transactions. 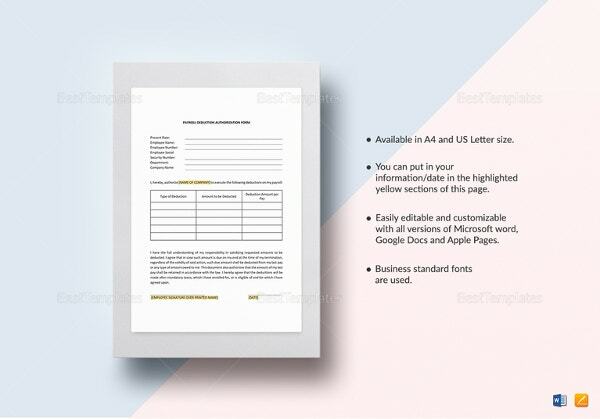 Aside from our samples of payroll deduction form templates, you may also be interested to browse through and download our samples of HR Complaint Forms and HR Feedback Form templates. 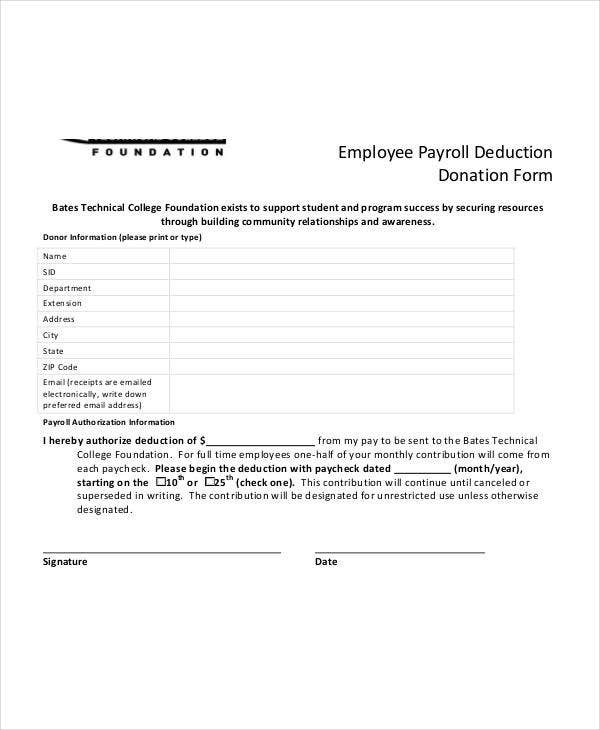 The employee has agreed to pay a portion of the payment for the uniform that he or she is to use in the workplace. 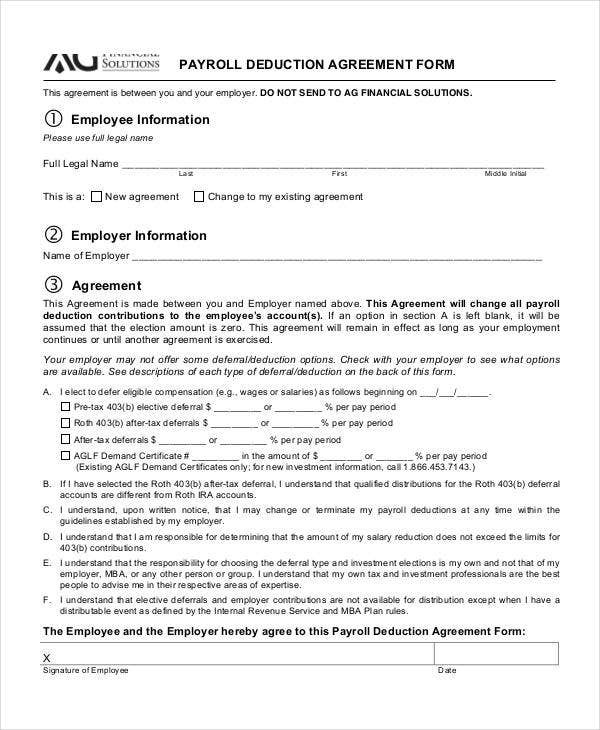 The portion to be paid depends on the arrangement of the employee and the company. The employee has damaged a company property. 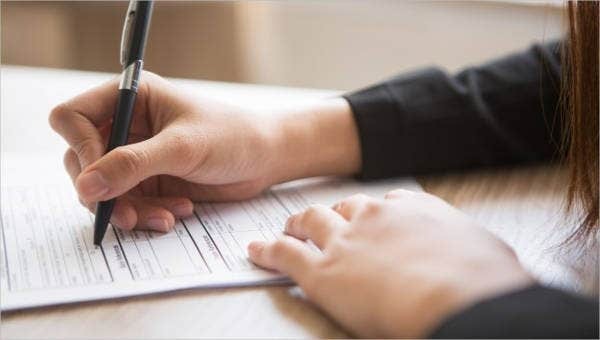 The employee requested the human resource department of the company to release his or her salary for a payroll period ahead of time. 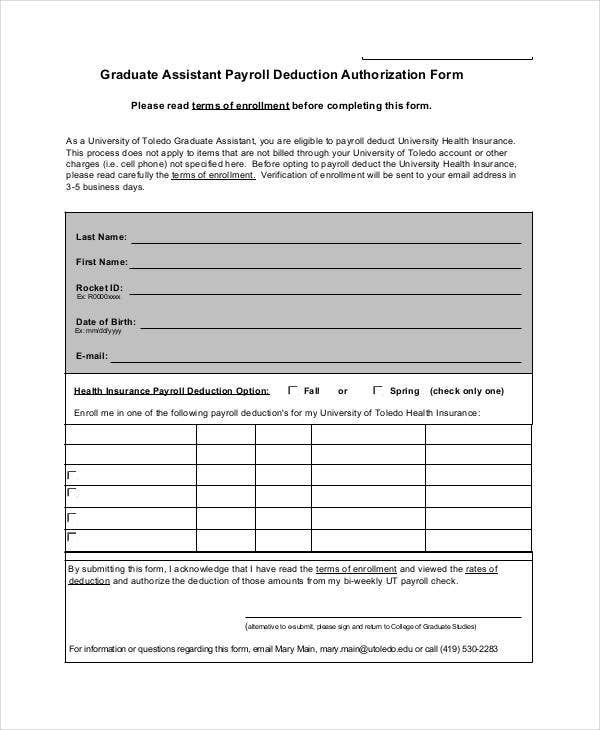 This is a form of cash advance wherein the total amount being given will be deducted to a particular number of following payroll schedules. 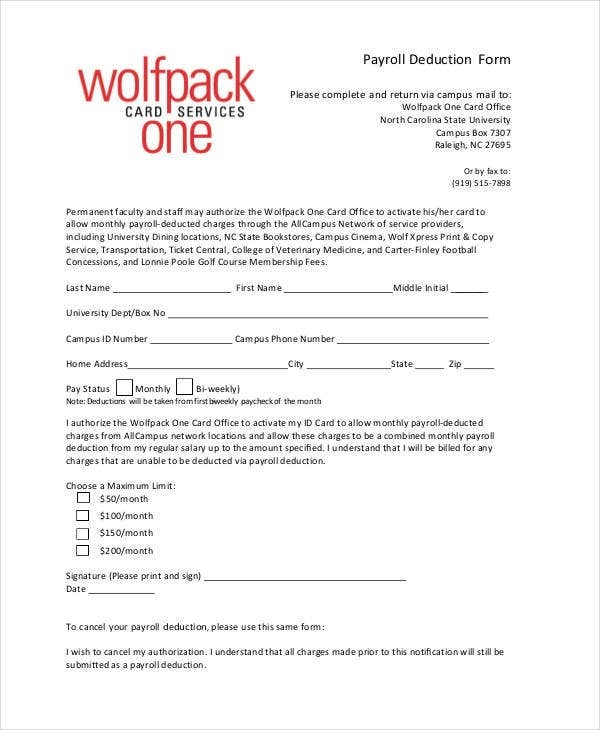 The employee signed up for memberships under the company name to get a corporate discount in purchasing items or acquiring services. This is possible if the company where the person is working at has different business and corporate partnerships in various industries. 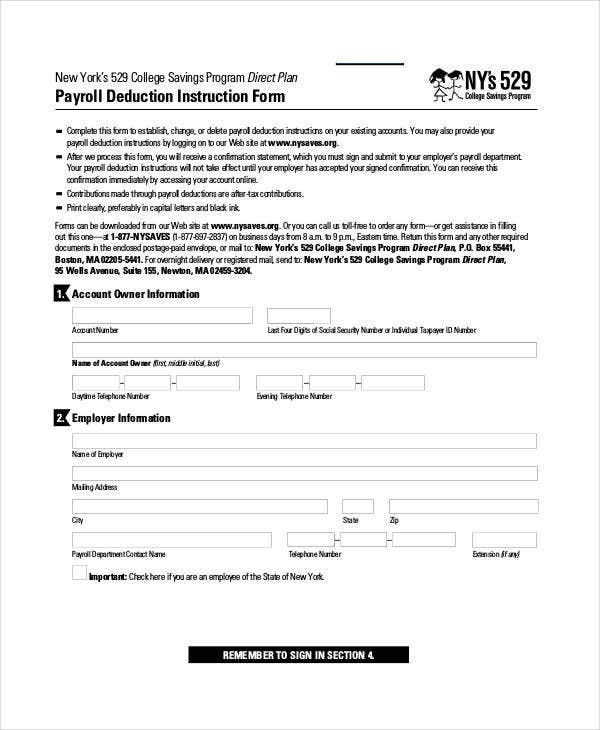 The employee may have investments where the company name is involved and there is an agreement that the company will initially pay for the investment and the employee is required to pay it in little portions through payroll deductions. 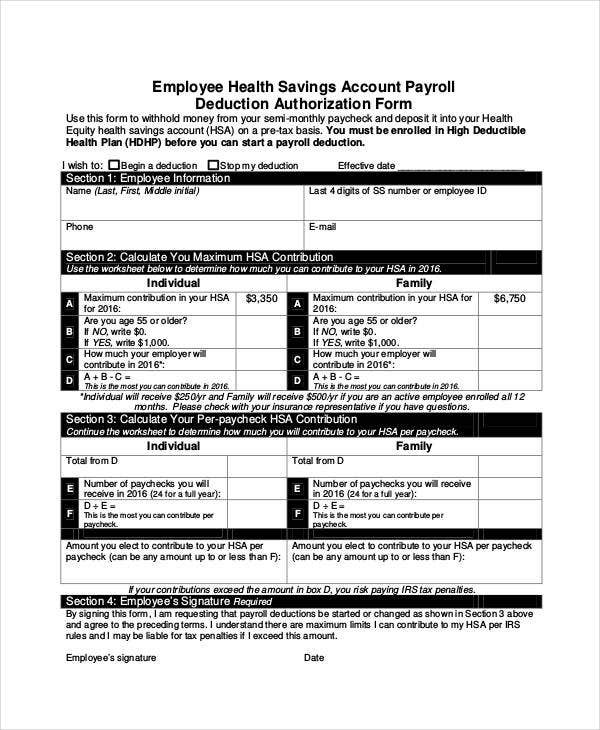 The employee acquired health savings that is associated with the health care provider of the company. 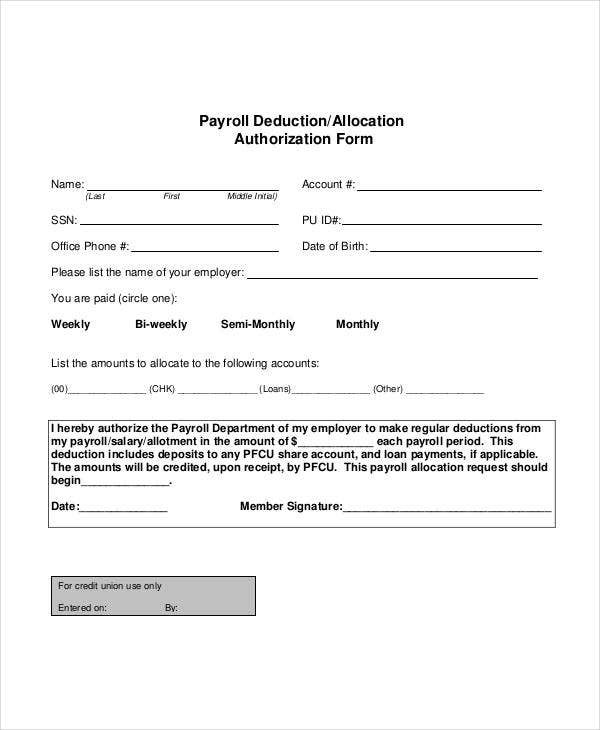 Other than our payroll deduction forms, we can also give you samples of downloadable HR Evaluation Form templates.